The NZSL in Action Awards Gala tickets are now on SALE!! Tickets includes dinner, drinks package and entertainment. Buy your tickets from Eventfinda! Comedy Festival And iSign Make Comedy Accessible For Deaf! 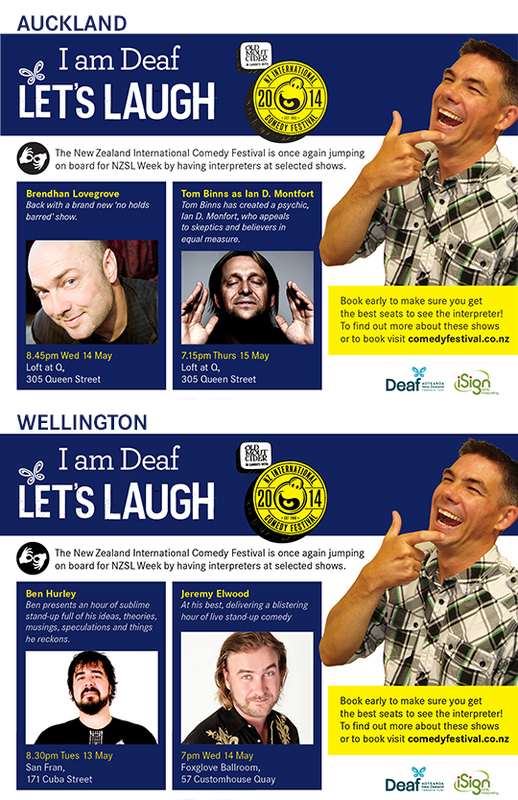 We are delighted that the NZ International Comedy Festival organisers have supported the Deaf community by having iSign interpreters at selected shows again during NZSL Week 2014. There are two shows in Auckland and two shows in Wellington. See below to find out which shows will have iSign NZSL interpreters. For bookings go to www.comedyfestival.co.nz. On 1st April changes to the rules for catching snapper fishes came into effect. This change only affects the East Coast between North Cape and Cape Runaway out to a distance of 200 nautical miles. There are no changes to the rules outside this area. The bag limit has changed to seven snapper per fisher per day (previously nine), and the size limit is increasing to 30cm (from 27cm). The changes to the Snapper 1 bag and size limits are part of a long term plan to improve the sustainability of snapper stocks. Fishing rules do change regularly. Fishers can keep themselves up to date with the rules by downloading the free NZ Fishing Rules app or visiting www.fish.govt.nz. PHARMAC is the Government agency that decides which vaccines, medicines and medical devices the Government purchases and pays for, in both the community and in our public hospitals. PHARMAC manages nearly $1 billion of our money and this is expected to double over the next few years. PHARMAC has proposed a new decision making framework and is asking for views on whether this covers the sorts of things that you think PHARMAC should think about when making decisions. This is an opportunity for YOU to get involved. It’s really important that the community’s voice is heard on this issue. Without the community’s voice, we can’t expect PHARMAC to be thinking about the things that are important to us. 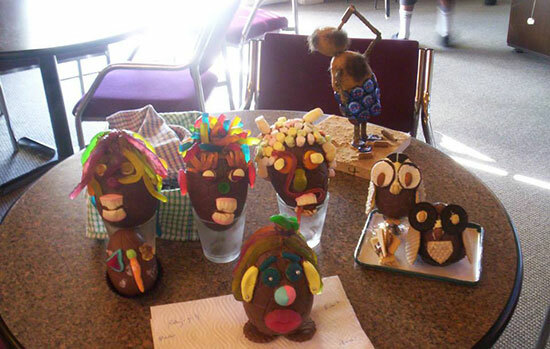 Have a look at the Potato Heads made for the Deaf club competition! Which one do you like? Make your own for Easter weekend! 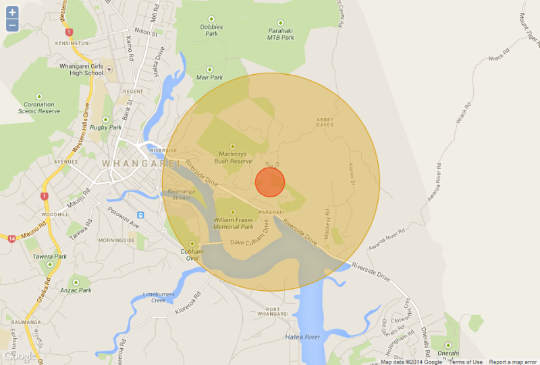 Where: Forum North, Rust Ave, Whangarei. A comedy with high-level acrobatics show direct from Montreal and created by two of Canada’s foremost circus artists (Cirque Du Soleil, Cirque Eloize, TeatroZinzanni) – Vague de Cirque make their Australia and New Zealand debut! 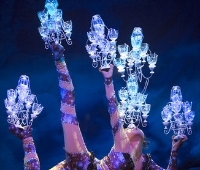 Balancing an insatiable quest for grandeur and glitz with the daily grind of life, seven acclaimed acrobats form an extraordinary ensemble in Carousel and Clothesline, this year’s must-see-performance. Start and finish ceremonies at Town Basin, Dent St, Whangarei. Throughout the weekend, there will be different stages around outside Whangarei, Dargaville and Waipu. Please get a map and see where to go. You can download the full itinerary and map at http://www.rallywhangarei.co.nz/spectator-info. On 23rd January, a single male Queensland fruit fly was found and identified. It’s back again. 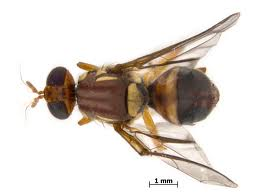 A second male Queensland fruit fly was found on 1st April. This is not a April Fool Day joke. It’s real and serious. Biosecurity has restricted the area so they can eradicate the pest. Biosecurity control started on Saturday 5th April. Same area now have Zone A and Zone B restrictions. This will last for three weeks until further notice. All information same about Zone A and Zone B. Also same about supermarkets. Zone A: You must keep all your fruit and vegetables on your place. Don’t move them. If you want get rid of them, you must put them into special rubbish bins on street. Zone B: You can move your fruit and vegetables around but you must not take out of the area. Not sure about your house? Go to this website and look up your address. Biosecurity team may ask you to collect them, please do collect them and put into special rubbish bin for them to check for any evidence. Zone A and Zone B: School and work lunches - you cannot have fresh fruit or vegetables in them if you are going out of Zone A and B.
Okara Countdown is in Zone B. If you live in Zone A or Zone B, you can buy fruit and vegetables from that supermarket. If you don’t live in Zone A or Zone B, you cannot buy fruit or vegetable from Okara Countdown to take home. You must buy fruits and vegetables from different supermarkets such as Pak'n'Save, Kensington Countdown, and any New World. People who are in Zone A and Zone B can buy fruit or vegetables from other supermarkets because they are bringing inside the zones. If the Queensland fruit fly spreads, this means our horticulture (worth about $1 billion) will be at risk. 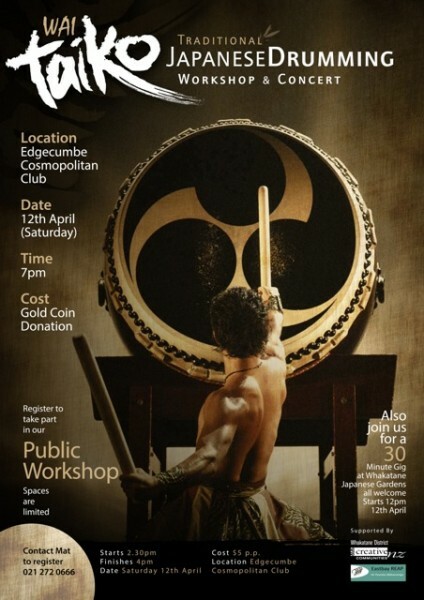 Auckland Deaf Society AGM – Important!! Bar and canteen open from 5pm. Canteen open for dinner 6pm. Have your say toward the future of our Deaf Club! Cost: $8 per vehicle per day. From 10am–6pm on Thursday 17 April, all rides purchased including the Turbo Boost will get a second ride for *FREE! Fireworks: A stunning fireworks display will be held daily at 9pm. With free entry to the public, the return of the big rides from Mahon’s Amusements, four huge halls of prize winning animals and five full days of cultural entertainment. Visitors can go from feeding the lambs and watching sheep shearing, to screaming their lungs out on a huge ride, to dancing along to a fantastic musical performance, all in less than an hour! Mahons Amusements brings the big rides to the Coca-Cola Easter Show and this year the Turbo Boost, Scream Machine, Gravitron and other favourites return to get the adrenalin pumping for the big kids, while at the other end of the scale, the Cookie-Bear rides bring smiles to the faces of the little kids and their parents. Go along and support your Deaf Ten Pin Bowling Team! 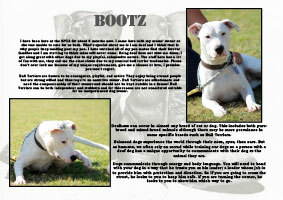 Always Wanted A Dog – What About A Deaf Dog? Miira Storey will continue her current role as Service Coordinator every Monday, Tuesday and Wednesday. Miira now has a new role as Employment Consultant every Thursday and Friday. If you need a service coordinator or an employment consultant, please contact Miiria to make an appointment. You can email miiria.storey@deaf.org.nz or text 021 792 369. The Annual Waikato Chrysantheum Society Show will have a variety of stalls, displays and flowers for sale. Zirka Circus is proud to bring you its 3rd tour of New Zealand! Their new show "Send in the Clowns!" is funnier and better than ever before. Promises of amazing, awe inspiring, death defying acrobatics – they have to be seen to be believed… Magic, Contortion, Juggling, Balancing and lots more. You are sure to love this show more than the last one! National Pub Poker League provides free, no-limit Texas Hold'em tournaments around New Zealand. Our games are very social and are a great place to get together with your mates for a beer and some cards. Our motto is 'Eat, drink, play! Whether you're a first timer, amateur or 'pro player' our tournaments give you the opportunity to learn and develop your Hold'em skills. Here you can try bluffing, raising, playing short stacked and multi-table tournament… play all without risking a thing! The league is perfect for those who just want to have a good time, as well as those who want to learn how to play against these looser, more aggressive players. Our trained and experienced Tournament Hosts are always on hand to answer any questions you may have. Find out more about our nightly prizes, plus how you can qualify for our monthly, regional and national finals as well as your chance to play in Las Vegas (see our website). We regret to tell you that due to the weather the SPCA has cancelled this day tomorrow. They are looking forward to being able to run it again next year. Greerton Village School is hosting their annual Car Show on Easter Saturday. There will be live music, entertainment and lots of spot prizes and giveaways. A fun tree climbing event for kids. Suitable for ages 3 - 12years. Bring a bike helmet (compulsory), a jersey and some patience as it can get busy. This Youth Expo is a week-long delivery to Yr 11 high school students and alternative education providers, includes a free community evening which is open to the general public. The Expo will also educate the youth on the poor decision making in relation to driving, peer pressure, drugs and alcohol. There will be 2 sessions per day. For further inquiries email ruru@rdc.govt.nz or phone Rotorua District Council on 07 348 4199 and ask for Jodie Lawson. There will be a free 30 minute gig. Click on flyer for other information. 111 TXT: Have You Registered? If you are ever caught in an emergency situation you need 111 TXT. You must register for the 111 TXT service. Only texts from mobile phone numbers registered with 111 TXT will get through. Go to ‘How to Register for 111 TXT’ and follow the 4 steps. Wait for a confirmation text from Police. Then you can text police in an emergency. If you don’t have a computer you can visit your local Deaf Aotearoa office and use a community computer. Staff will be happy to show you how to register. The local office for Taranaki is located at 28 Young Street, New Plymouth. Easter starts early at Pukekura Raceway. Head along for the Contractors Race Day. The Hauraki Girls will be on-course giving away goodies, including spot prizes from ITM New Plymouth. Mexico-born Jonathan Bueno visits New Plymouth from California for his new exhibition Pre-Hispanic Muddle Earth at the Gallery Frame Shop. On opening night enjoy live music and light refreshments and every one attending goes into the draw to win an artwork drawn on the night. The exhibition will be on display until Thursday 15 May. Bueno’s latest work combines iconography from Maori and Pre-Hispanic cultures of Mexico, both having a rich and ancient tattoo history. The artist uses Mexican bark paper amate and other minerals to create surreal landscapes inhabited by mythical creatures. Bueno was born and raised in Mexico City and has lived and worked as an artist in Southern California since 1996. He attended the Institute of Fine Arts, the Museum of Contemporary Art, and El Camino College in Torrance. Will the Airs Shoot Down the Giants? Will the Good Home Mountainairs rise to the occasion? Come and see the new teams for the 2014 season, with the Taranaki home game. Infants under five years are free sitting on a lap. Patrons five to 17 years need to pay for a child pass. 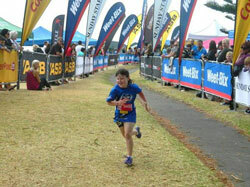 Deaf Community Member Eden Fairweather (8 years old) completed her first Weetbix Tryathlon on Wednesday. Well done Eden! 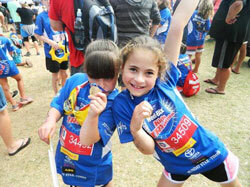 Eden and Ella Butterworth, both 8, were the two in team TwoEEs. Ella did swim and run. Eden did bike and run. 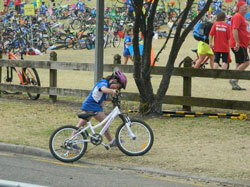 Eden says the best part about the Weet-Bix Tryathlon was the Bike ride, 'I liked the hills". She also really liked catching up with all her friends, having Dad there all day and not at work and having the grandparents make the trip up from Wanganui for the day to watch her and Tayla (her big sister) compete. I liked the fact that the FM System was very helpful to encourage her to run faster! Must have been scary having Mum in her ear saying "run Eden run"! She slept very well that night! 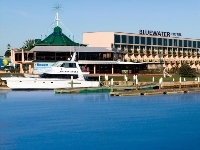 Join us at The Dutch at The Bluewater every Thursday night for our Pool Competition! Kickin' off at 7:00pm sharp every Thursday, show us your pool skills and compete head to head to win the weekly $100.00 cash prize! Keen mountain biker? Want to do a memorable, fun event on Easter weekend? Like the idea of winning a big cash prize?! Bennelong MTB Club is again hosting the Te Mata Peak Super D. Book out Good Friday afternoon for a fun time! Make your way down the course from the top of Te Mata Peak, to see who can be the fastest on two wheels. This is a individual seeded race, no mass starts. Get in a few practice runs and then get ready to race. Note: no shuttles, you have to make your way up and down yourself - helps keep the cost down. Registration: 12:00pm - It's on the day, so come with cash to the start line from 12:00pm. Race Briefing: 12:30pm from top of Te Mata Peak. Race Start: 1pm from top of Te Mata Peak. Prize giving: Loading Ramp, Havelock North Village at completion, at approx 3:00pm. There are cash prizes for the fastest riders and of course a few 'special' awards! So, something for everyone, look forward to seeing you all there! For further enquiries or to volunteer to help please contact Malcolm Vernon, Chairman of the BMC Club, on 027 448 5888. Kids, this Easter Holidays, bring your parents or grandparents to Napier for some school holiday fun! With an Art Deco Explorer pack in your hand you will discover Napier like never before. Join Dudley Dalton, a boy who lived here in the 1930's as he guides you round the Napier of old. You'll also be helped on your activity trail by Sophie, a local girl who lives here today. Together Dudley and Sophie will set you puzzles and give you heaps of fun activities to do as you learn all about Napier's history, the massive earthquake of 1931, and a little bit about the Art Deco style that Napier is so well known for. Solve the word puzzle in your activity book to claim your special Art Deco Explorer reward! Come to the Art Deco Centre any time between 9.00am and 3.00pm to start your activity trail. This is an opportunity to learn more about healthy cooking. How much of food should I eat? Nutrition myths – what foods are best and why? Please note that the date has changed. We will be covering some new strategies and tools, boundary settings, healthy communication, self awareness as well as reflecting on our own behaviour. Lunch is provided but you must let Lianna know if you are coming to this workshop by lunchtime Monday 14th April. We are still needing more people to register their interest in the First Aid workshop. We need 8+ to enable this workshop to go ahead. It will be held one day on the weekend. Please let Lianna know to put your name down if you're interested. Deaf Club will be open from 7.30pm. Bring your own drinks as the bar is closed. There will be a Dart Championship mixed Pair on this night. Manawatu Jets will take on the Southland Sharks, go along and support our local team! 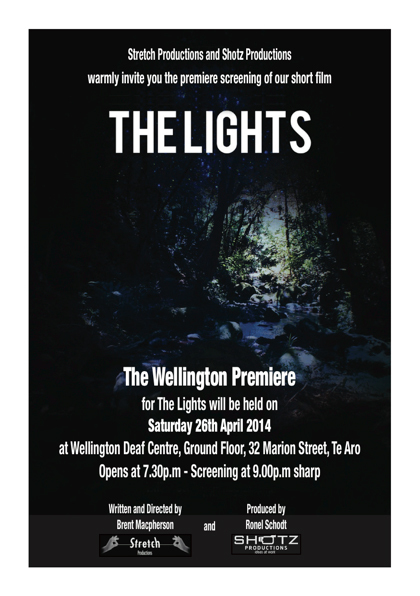 Stretch Productions & Shotz Productions are pleased to announce "The Lights", a psychological short film thriller and they warmly invite you to the premiere screening of their short film. Time: Opens at 7.30pm and screening at 9.00pm sharp. Note: Children are not advised to join. Please see flier for more information. NZSL Week – Volunteers Needed! NZSL Week is approaching and Wellington needs volunteers to lend a hand. Volunteers will have jobs of doing NZSL Week display stands, Pop Up Cafes, and to set up our NZSL In Action Awards Gala evening. You will be given a voucher for your time. Minimal experience in NZSL is an advantage, NZSL students are welcome to volunteer. Please contact Shannon if you are able to lend a hand! Ever wondered how your house might fare in an earthquake? If you're a homeowner, contact us about our Quakecheck service and find out. Quakecheck is a professional assessment of parts of your house to see if they need strengthening. A qualified builder will check the chimney, foundations, piles, bracing, roof tiles and hot water cylinder. You'll get a written report and an indication of how much any strengthening work might cost. The assessment costs $160 and takes between 30 minutes and two hours depending on the size and design of your house. The service complements our free guide – Earthquake strengthen your house – available on our website or from our service centre. Celebrating 50 Years of Adventures in Space and Time! See original props from the show's 50 year history including William Hartnell's cane, a Tom Baker scarf, and the iconic TARDIS itself! Suitable for fans of all ages! Get ready to skate, Wellington! Due to overwhelming popular demand Ice World NZ is proud to return the outdoor ice skating rink to the beautiful Queens Wharf waterfront. Under the sails on Queens Wharf, the ice rink will be lit up with LED lights making for some magical moments on the ice. The rink is covered by the sails so is open rain or shine. The Wellington Phoenix welcome Melbourne Victory in round 27 of the 2013/14 Hyundai A-League season at Westpac Stadium in Wellington. Kick-off is 5.30pm. It's another rematch with Ernie Merrick's old team at his new home - Wellington! 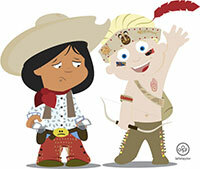 For all your game and ticketing information, and to stay up to date check out www.wellingtonphoenix.com. Tickets are more expensive at the gate so pre-buy to save. For more information or to book tickets – visit Ticketek. 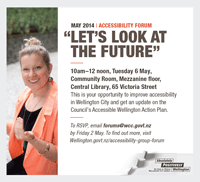 "LET'S LOOK AT THE FUTURE"
This is your opportunity to improve accessibility in Wellington City and get an update on the Council's Accessible Wellington Action Plan. To RSVP, email forums@wcc.govt.nz by Friday 2 May. To find out more, visit Wellington.govt.nz/accessibility-group-forum. NZSL interpreters will be provided. Please see flier for more information. Lunar eclipse. View the moon in the shadow from Earth. Share in the excitement of watching the lunar eclipse using telescopes. All welcome. Please give gold coin donation to support the Nelson Science Society maintain the observatory. Observing the moon is weather permitting, see their website for latest details. Saturday 12th April: Vintage Rally Day. Starts at the A&P Showgrounds Richmond Park between 8:00am to 9:00am. Lunch stop is at Motueka Recreation Centre between 12:00pm to 2:00pm approx. Sunday 13th April: Gymkhana events and public open day at A&P Showgrounds Richmond Park. Come along and catch up on some history, see the old cars. Motoring through the events, get up close and inspect these beautifully turned out vehicles. Food stalls will be on site for drinks, lunches and snacks. Entry by gold coin donation. On site car parking available. Enter from Lower Queen Street via gate near Croquet Club and Old Gum Tree. Your local Community Relations Officer, Victoria Walters, is looking for more people who would like to sign their favourite sign for our NZSL Week 2014. Do you have favourite sign that you always sign? You don’t have a video camera to film yourself, we have a camera that we can help you - come and see Victoria to film you! Your favourite sign will be put on Facebook and nzslweek.org.nz every day. If you would like some assistance with film – please contact Victoria to make an appointment, thank you. Come along and join the team. Any questions please contact Leanne 0212593147. All Southern Zone Sports team delegates are required to attend a meeting to discuss about all sports and the membership forms will be hand out at the meeting. Any concerns please text Leanne 0212593147 or Jake 0211713629. A double bedroom, Wi-Fi internet, close to bus stop and Northlands Mall, non-smoke home at Redwood area. Please contact Text 027 741 7277 for more details, thank you. Do you have a onesie? Do you want to join The Warehouse to support by wearing onesie to break the world record for the biggest gathering of onesie wearers to beat unofficial record of 1,184 held by Ringwood School in Hampshire, UK who are waiting for official confirmation from Guinness World Records. Please let Fi know at the Deaf Aotearoa Office if you will be coming. RSVP to Fi at Deaf Aotearoa Office by 30th April. 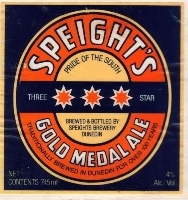 A fully signed tour of the revamped Speights Brewery just for the Deaf Community. Come and join us for an evening of fun, food, games and special guests. For ticket prices go to TicketDirect. Come support out Team as they take on the Bulls. The popular fair that comes to town only once a year, featuring thirty Gypsy families in interesting house-trucks and buses. Come check out these fabulous homes. Wooden crafts, tarot reading, palm reading, leather, crystals, herbal products, LuckyStar coffee, funky clothes, silver jewellery, food, candyfloss, glass blowing, merry go round, hip accessories, tattooing and piercing, hand painted craft, fork art, face painting and lots, lots more. 30 Gypsy Families in interesting House Trucks and Buses, Live Music all day, wooden crafts, leather, Crystals, Jewellery, food and much, much, more. Great Day out for the whole family. 60 Exhibitors on hand to provide health and disability assistance, info and products at this fun day out.